How many phone numbers can my child call? 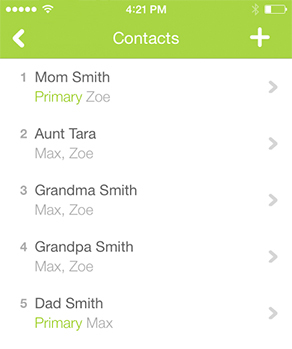 Using the FiLIP app, parents can program up to 5 numbers in their child’s FiLIP. These are the only numbers that your child can call and the only numbers that can call your child’s FiLIP, so you do not need to worry about who your children are speaking with. Make sure to enter your number without any spaces, parentheses, or dashes (ie. +11234567890). How do they make the call? Can anyone call my child on FiLIP? Can a FiLIP call another FiLIP phone? Can I turn off the ringer on my FiLIP?